Take Part: Are you about to exhaust your unemployment benefits? STAFF REPORTS • November 24, 2010 Nashville Electric Service will soon unveil a new and improved interactive tool using Google’s mapping technology to track power outages. The outage map will be available at http://nespower.com/OutageMap/default.aspx. The map offers a view of outages across the NES system, pop up boxes for additional details, and a drill down capability to identify streets without power. The map is updated every 15 minutes. The outage map uses color-coded icons to indicate the number and location of customers without power in the NES service area. Here is some advice to best use the tool: *Click on the icon for information about the outage. *The map view can be customized by selecting the Satellite, Hybrid or Terrain options. *Click “+” to zoom in, click “–” to zoom out. *Use the arrows (upper left of map) to navigate up, down, left, or right. STAFF REPORTS • November 24, 2010 A Nashville Fire Department investigators said Wednesday that an apartment fire at 270 Tampa Drive in Antioch was intentionally set. Firefighters responded to the fire around 9:30 p.m. Friday, Nov. 19. The fire caused damage to 15 units. Three people were treated on the scene and two were transported by ambulance including one firefighter who was injured after a wall collapsed. The fire has been determined to be arson, according to Deputy Chief Kim Lawson's office. Anyone with information about this fire or other fires in this area is urged to call Crime Stoppers at 74-Crime or the Arson Hotline at 1-800-762-3017. Channel 5 News Posted: Nov 22, 2010 4:27 PM CST NASHVILLE, Tenn. – Titans head coach Jeff Fisher said quarterback Vince Young will require season-ending surgery after injuring his thumb in a Sunday's 19-16 overtime loss to the Washington Redskins. Young tore the flexor tendon in his right thumb - his throwing hand - late in the third quarter. Fisher said Young would be placed on injured reserve for the rest of the season. Fisher said the decision had nothing to do with Young's apparent tantrum after the game - and that he and Titans owner Bud Adams were on the same page. Rookie quarterback Rusty Smith has been named the starter until Kerry Collins returns from injury. Collins has been recovering from a calf injury he sustained during a 17-29 loss to Miami last week. Smith saw some action after Young was injured. He completed 3 for 9 passes for 62 yards with 1 interception in just over one quarter of play. Fisher said he was not concerned about turning the offense over to the rookie. "We've got a veteran group of guys in this offense that will rally around him," said Fisher. The Titans also planned to bring in former Titans Chris Simms as back-up quarterback. The 5-5 Titans take on the 4-6 Texans on Sunday in Houston at noon. The game can be watched on NewsChannel 5. Channel 5 News NASHVILLE, Tenn. – One man was injured in an early morning stabbing Monday. The stabbing happened during a fight around 1:30 a.m. at the Bikini Beach Bar on Antioch Pike. A man was stabbed in the back and head. He was being treated at Vanderbilt University Medical Center with non-life threatening injuries. Police said 48-year-old David McCormick stabbed the man. He left the bar after the stabbing, but was arrested a short time later. McCormick is charged with attempted murder and DUI. Police are continuing to investing the incident. They are reviewing surveillance video from the bar for more information. NASHVILLE, Tenn. – Jimmy Buffett's Margaritaville celebrates its opening day Monday with a ribbon-cutting ceremony at 10 a.m., followed by the serving of the first guest an hour later. 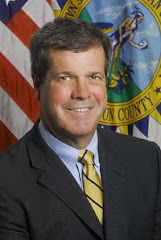 Several local community leaders will be on hand for the event, including Mayor Karl Dean. The restaurant will be located on Broadway, right in the heart of downtown and in the same building where the old Planet Hollywood used to be. This is the 10th Margaritaville to be built in the United States. NASHVILLE, Tenn. - Kelley Cannon is serving a life sentence for the murder of her husband. NewsChannel 5 has learned a legal challenge is in the works strongly questioning her conviction. Most people will remember the high profile trial. A mother of three convicted of murdering her husband, prominent lawyer Jim Cannon, inside their Green Hills home. One of Cannon's attorney's makes some serious charges in a court filing - claiming the fix was in against his client from the very beginning. "Everything I've seen they considered her to be guilty from the start and every effort was to prove her guilt," said attorney Andy Cate. Cate said he filed a strongly-worded motion in Circuit Court alleging misconduct by police, prosecutors and Jim Cannon's family's attorney John Hollins, Jr. To quote from the document: "Mr. Hollins used the emotionally charged and highly publicized nature of the case and the public sentiment he rallied through the media to persuade police and prosecutors to pursue a number of criminal charges against Ms. Cannon. It's baffling how such blatant, repeated and even compounded constitutional and civil rights violations could occur and go unchecked in this day and time." "She was tried for five days before a criminal jury and they convicted her in less than an hour. To me, in my opinion, that means that they believed there was overwhelming evidence of her guilt and that's why she was convicted," said Hollins, Jr. Cate said he knows he could be putting his law license on the line by accusing others in the case of misconduct. He said he'll prove it as the legal case moves forward. Legal experts said he better be able to because he's making some strong accusations. To this point, there's been no evidence prosecutors, police or anyone else did anything wrong in connection with the Cannon case. For now Cate is handling the civil side of Cannon's wrongful death case. He believes someone else killed Jim Cannon and Cate said he'll prove it. State board ruled after arrest on marijuana charges By Brian Haas • The Tennessean • November 18, 2010 Former state and Davidson County Medical Examiner Bruce Levy will get to keep his medical license, a state board ruled Tuesday. Levy was arrested in March on a drug possession charge in Mississippi after authorities there said he accepted a shipment of marijuana at his hotel room. He pleaded guilty to the charge and went into a pretrial diversion program, which allowed him to avoid conviction. The Tennessee Board of Medical Examiners will allow Levy to keep his license, but he’ll be on probation for 5 years, must pay up to $3,000 in fines and investigative costs and must enter a program for doctors with drug addictions, according to their ruling. Levy’s contract with the state was terminated after his arrest and he was removed from his position at Forensic Medical as Davidson County’s chief medical examiner. Contact Brian Haas at 615-726-8968 or bhaas@tennessean.com. 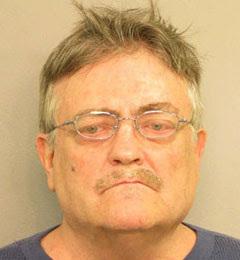 Posted: Nov 15, 2010 6:36 PM CST NASHVILLE, Tenn. – Metro police are asking for the public's assistance in locating bail jumper 63-year-old Bobby Stanley George who is under indictment on attempted kidnapping and fourth offense DUI charges. As a condition of his bond, George was required to wear an electronic monitoring device. Police told News 2 they have not been able to locate George since he removed the equipment last month and fled from his residence at the Intown Suites on Murfreesboro Pike. On March 31, 2009, George, while allegedly drunk, pulled into the parking lot of a Hermitage area restaurant and tried to entice two minor brothers, ages 8 and 17, to go with him, but they refused. Their parents and the restaurant's management notified police. George is five feet, 10 inches tall and weighs 195 pounds. He may be driving a dark gold Nissan Maxima. Anyone with information on George's whereabouts is urged to call Metro police at 615-862-8600. WKRN Channel 2 NASHVILLE, Tenn. – The six-and-a-half month wait for the reopening of Nashville's Opryland Hotel and Convention Center will come to an end on Monday when the hotel reopens its doors for business. Since the May flood, the Nashville hotel has been planning and counting down the days until it reopens. Monday marks the hotel's much anticipated grand reopening. "On May 3, with the amount of water here, it's really amazing that we could reopen the hotel this year," Pete Weien Senior Vice President and General Manager of Gaylord Opryland told News 2. The hotel spent more than $200 million on repairs and renovations to the hotel that attracts tourist from all across the country. News 2 will be broadcasting live from Opryland Hotel on November 15 to give viewers a look inside the newly renovated hotel. ASSOCIATED PRESS • November 12, 2010 DETROIT — Nissan Motor Co. is recalling more than 600,000 vehicles in North and South America and Africa because of steering or battery cable problems. Explore now... The Japanese automaker said Thursday that the steering recall affects 303,000 Frontier pickup trucks and 283,000 Xterra sport utility vehicles in the U.S., Canada, Mexico, Argentina, Brazil and other Latin American countries. Nissan said a corrosion problem with the lower steering column joint and shaft can limit steering movement, making the vehicles difficult to steer. In some cases the corrosion can cause the joint to crack. Nissan also is recalling 18,500 Sentra sedans because of a battery cable terminal connector problem that can make the cars difficult to start or stall at low speeds. The Frontiers covered by the recall are from the 2002 through 2004 model years and were made from July 9, 2001, to Oct. 20, 2004, in Smyrna for the North American market, Nissan said in a statement. Frontiers made from Nov. 30, 2001, to June 26, 2008, in Curitiba, Brazil, for South and Central American markets are in the recall. The 2002-2004 North American Xterras in the recall were made from July 9, 2001, to Jan. 6, 2005, also at the Smyrna plant. Xterras made from Feb. 17, 2003, to June 13, 2008, in Curitiba, Brazil, for South and Central American markets also are affected. Owners will be notified in early December when parts are available. Dealers will fix the problem at no cost to the owners. STAFF REPORTS • November 8, 2010 A fire ripped through an Antioch home, located behind the Hickory Hollow Mall, on Monday night. Fire fighters put out the blaze at 4440 Winton Drive as the homeowner arrived at the scene, District Fire Chief Walter Demonbreun. There were no injuries and no one was inside the house in the fire that was called in shortly after 7 p.m. The home is heavily damaged, Demonbreun said. The fire threatened a nearby home, melting some of its siding. The cause of the fire is undetermined. Mexican company Grupo Bimbo buys bakery unit By G. Chambers Williams III • THE TENNESSEAN • November 11, 2010 All employees and operations of the Sara Lee Corp.'s bakery, sales depot and outlet store in Nashville will be transferred to a new owner when the sale of Sara Lee's North American Fresh Bakery unit to Mexico's Grupo Bimbo is completed next year. Sara Lee announced that it was selling the fresh bakery business to concentrate on its more-profitable products, which include frozen baked goods, deli meats and Senseo coffee. About 100 employees work at the Nashville Sara Lee bakery at 2407 Franklin Pike, which was transferred to Sara Lee in 2001 as part of the company's acquisition of Earthgrain Baking Co. Inc. The Nashville unit produces fresh loaf bread, hamburger buns, hot dog buns and other products. Brands include Rainbo and Sara Lee, as well as private-label products for retail grocers. With the acquisition, Grupo Bimbo will become the largest fresh baker in the United States. It said it plans to invest about $1 billion in the United States over the next five years to upgrade facilities and build new bakeries. All 41 of Sara Lee's fresh bakeries will be transferred to Grupo Bimbo, said Sara Lee spokesman Mike Cummins, and no layoffs are expected. The combined facilities have about 13,000 employees. Sara Lee will continue to produce its other bakery products, including frozen cheesecake, pound cake and pies, and it will keep its meat brands, Cummins said. Those include Jimmy Dean, Hillshire Farms and Ball Park. Grupo Bimbo will pay $959 million for the Sara Lee fresh bakery unit and will license the use of the Sara Lee name from the Sara Lee Corp., Cummins said. By Erik Schelzig • ASSOCIATED PRESS • November 10, 2010 NASHVILLE, Tenn. (AP) -- Tennessee's latest revenue figures released Wednesday show monthly sales tax collections grew at their highest rate since April 2007 and that the state's general fund exceeded projections by $46 million through the first quarter of the budget year. Finance Commissioner Dave Goetz, who is leaving the administration of term-limited Democratic Gov. Phil Bredesen at the end of this week, said the improved economic performance could mean the cancellation of a call for agencies to cut spending by up to 3 percent. "That doesn't mean the new administration might not want to take some of those reductions and deal with that," Goetz said. "But the good news is that we might be able to leave them with the prospect of reasonable revenue growth." Republican Gov.-elect Bill Haslam takes office on Jan. 15. A spokesman did not immediately respond to a request for comment about the new administration's reaction to the quarterly revenue figures. Sales taxes, which account for two out of every three tax dollars collected in Tennessee, came in at $733 million in October, a 6.4 percent jump from the same month last year. The growth rate through the first three months of the budget year was 3.9 percent. October collections figures reflect economic activity in the previous month. General fund collections in the same quarter of last year were $88 million below expectations and they were $200 million short in the first quarter of 2008. But Goetz cautioned that it's unclear whether the performance so far this year can be sustained. "We don't know yet," he said. "Three months is three months." The State Funding Board in December set annual revenue estimates at the lowest end of forecasts presented to the panel by five economists. The board is made up of Goetz and the state's three Republican constitutional officers. Comptroller Justin Wilson said the panel "did the best we could with the information we had." Secretary of State Tre Hargett said the low-end estimates put the state in a better position for recovery. "I would certainly always err on the side of conservatism and making sure we don't spend money we don't have," he said. "It would be a much better problem to realize later on that we're doing better than we thought." Channel 5 Posted: Nov 05, 2010 9:37 PM CDT NASHVILLE, Tenn. - A Metro council member used an obscure rule to delay plans to renovate the Hickory Hollow Mall, but Mayor Karl Dean said he is hardly discouraged by the move. The first reading of the proposal was deferred at Thursday's Metro Council meeting. Dean believes it's only a matter of time before an overhaul of the troubled mall is approved. The Mayor has been one of the biggest supporters of the plan from the very beginning. He said Metro Councilman Jim Gotto's decision to stall the proposal doesn't change a thing. "This is a technicality. People know this is a win-win for both communities and is good for the city of Nashville," said Mayor Dean. Gotto invoked "Rule 12" at Thursday's meeting, which said a bill cannot be introduced on nights when there is a public hearing. The Hickory Hollow proposal would move many of the services offered at the old fairgrounds to the struggling mall, in addition to adding a health clinic and a library. The relocation would help Dean push forward on his plans to renovate the old fairgrounds property. While some Antioch residents are opposed to the proposal, Dean insists the measure is roundly approved by the community. "The word I get from the Hickory Hollow folks and the chamber there is they are in favor of it. They want parks, a library, a health center. There's a vocal minority but most know that jobs and services are good," said Mayor Dean. Gotto said he delayed the vote in an effort to make sure the council can talk through all of the issues surrounding the bill. Meanwhile, fellow council member Duane Dominy has a proposal that would keep the fairgrounds open until a more definitive plan is in place for the property The Hickory Hollow Mall proposal could go before the council at their November 16 meeting. Channel 5 News Posted: Nov 05, 2010 10:23 PM CDT Updated: Nov 05, 2010 10:52 PM CDT NASHVILLE, Tenn. – Metro police have been called out to investigate a shooting in South Nashville Friday night. It happened just before 10 p.m. at 184 Millwood Drive, just off Murfreesboro Pike. There has been no word on the condition of the shooting victim, or what led up the shooting. By TAVIA D. GREEN • GANNETT TENNESSEE • November 5, 2010 A man released from jail on his own recognizance after robbing and injuring a 79-year-old woman, robbed and injured an 84-year-old woman just 12 hours after he was released from jail, police say. According to a news release from Officer Jim Knoll, at 6 p.m on Monday the 79-year-old woman pulled into her driveway at her Hillwood Drive home. When she opened her car door an unknown man, later identified as Frank Sumner, snatched her purse from her arms, knocked her to the ground and ran away. The 79-year-old woman was was taken to emergency room and treated for a laceration to the back of her head, a cut to one finger and a large bruise on her left forearm, the release said. Sumner was arrested on Wednesday at 1:53 a.m. and charged with the crime. He was booked into the Montgomery County Jail on a $25,000 bond. Sumner had a history of over 50 arrests, several involving acts of violence, police say. On Thursday, at about 10 a.m., he was released on his own recognizance. At 9:10 p.m. Thursday, he allegedly committed the same crime on another woman. An 84-year-old woman was leaving work at a Madison Street business and approaching her car, when another vehicle pulled up. A man later identified as Sumner jumped out of the vehicle and pulled the 84-year-old woman’s purse from her shoulder, the release said. The purse snatching caused the woman to be knocked to the ground and she sustained a broken shoulder and laceration above her eye, the release said. Sumner’s vehicle was later found but, he was not inside, the release said. Sumner was located a short time later at 802 Central Avenue. The investigation revealed that Sumner had committed the robbery of the 84-year-old woman and the purse was recovered from a dumpster on Whitfield Court, the release said. Frank Huber Sumner, 37, was charged with aggravated robbery. His bond in the first case was set at $250,000. His total bond is $300,000. WKRN Posted: Nov 05, 2010 11:52 AM CDT NASHVILLE, Tenn. (AP) - Standard time arrives Sunday at 2 a.m. and that "extra hour" is an illusion for many of us. Dr. Beth Malow, the director of the Vanderbilt Sleep Disorders Center in Nashville, says the clocks will change, but it will take more, well, time for most people's systems to adjust. She says some may feel the benefit of sleeping in for 60 more minutes on Sunday morning but many will not. Malow says some people's internal clocks are stronger than others. In Lexington, Ky., operations minister Nate Collier of Broadway Christian Church found the congregation was 26% larger on the first November Sunday of 2009 than it was the week earlier. In 2008, there was a 16% increase in attendance. Copyright 2010 The Associated Press. All rights reserved. This material may not be published, broadcast, rewritten or redistributed. By G. Chambers Williams III • THE TENNESSEAN • November 4, 2010 Albert Tieche, a University of Tennessee consultant based in Nashville, will be offered the job of Davidson County elections administrator, the county Election Commission voted unanimously on Wednesday. He will replace retiring administrator Ray Barrett in the post, which is responsible for running Nashville's elections, managing a $3.5 million annual budget and supervising 21 full-time employees. Tieche, who trained the commission's poll workers under contract from 2003 to 2008, was one of seven applicants interviewed by the five commissioners — three Republicans and two Democrats — last week. At Wednesday afternoon's meeting, Republican Commissioner Steve Abernathy made the motion to hire Tieche, and it passed with little discussion. The commission also authorized its chairman, Republican Lynn Greer, to negotiate a starting annual salary from $82,500 to $85,000 a year with Tieche. After Tieche passes a state elections administrator's certification exam, his annual salary will rise to at least $96,000, the commissioners said. Barrett, who has held the job for the past six years, makes $103,000 a year. He will leave the office at the end of the year. Commissioners said they'd like to bring Tieche on board within the next two weeks so he can work through a transition period. His appointment is contingent on passing a comprehensive background check. That will include a detailed examination of Tieche's education and work record. Tieche is author of a training manual for poll workers that the election commission has used in the past, Greer said. Juanita Cousins • THE TENNESSEAN • November 2, 2010 An Antioch woman with lupus is balancing her full-time employment with a home-based business, school and writing. Stephanie Ricks, who works in the Tennessee State University records office, tells that story of success in her book Finding Me Through Lupus. The self-published book details how Ricks has balanced her health issues with school, work and launching Variety House, an event and wedding consultation business she operates from her living room. “It all started when I was 5 years old and a flower girl in my aunt’s wedding,” said Ricks, 28. “I started to love everything about weddings, bridesmaid dresses, colors, flowers and all the detail that it takes to put a wedding together. Then I decided I might as well work in my passion.” Ricks is now working on her second graduate degree, an online master’s degree in marriage and family therapy from Amridge University (based in Montgomery, Ala.) and a professional development program from the Association of Bridal Consultants. Her goal is also to be able to provide premarital counseling for couples as she plans their weddings. She offers packages, ranging from $700 to $1,500, depending on the help and planning necessary. “I make sure they stick within their budget and give them outlines on everything I will do,” she said. “Piecing together a wedding by yourself can be very hectic. What I try to do at Variety House is make everything smooth and calm.” Ricks also works as a local publicist for Nashville artists and authors and plans corporate picnics, holiday parties, reunions and birthday parties. Contact Juanita Cousins at 615-259-8287, jcousins@tennessean.com or Twitter.com/talljournalist. Tennessean November 3, 2010 Hermitage Precinct detectives are investigating Tuesday afternoon's fatal shooting of Randy Claybrooks, 22, according to Metro Police. The incident happened in the 100 block of Lafayette Street in the J.C. Napier public housing development. Witnesses told police that Claybrooks was shot during an altercation with another man at 2:30 p.m. Tuesday. He was transported to Vanderbilt University Medical Center where he died. By Stephanie Toone • THE TENNESSEAN • November 1, 2010 Would-be criminals have a message waiting for them in the yards of 85 different homes in East Nashville, Antioch and Germantown. The two piercing eyes on black-and-white signs relay to criminals that burglaries will not be tolerated in those neighborhoods, said Manuel Delgado, Eastwood Neighbors Association member. “You’re being watched,” Delgado said. “We want to get that image burned in people’s minds. We hope those with the intent to break in will pause and move on.” Delgado and Gracie Vandiver, co-chairs of the association’s crime and safety committee, developed the sign idea this summer. By September, the association began selling the signs to residents throughout the area, Vandiver said. Nashville photographer and designer Alison Slamon designed the signs, and they sell for $10, which covers the cost of printing and contributes to the association’s crime prevention projects. The signs remind residents to call the Metro police department’s non-emergency number, 615-862-8600, if they see suspicious activity. “It’s Neighborhood Watch 2.0,” she said. “They’ve (criminals) seen the old signs so much they ignore it. Hopefully, the signs will serve as a reminder to residents to trust your gut if you see something suspicious.” Vandiver said she was motivated to raise awareness about crime when her East Nashville home was burglarized in May. She started talking to her neighbors after the break-in and realized the need for neighborhood crime prevention. “One of my neighbors said she saw someone looking in her neighbor’s window, but she didn’t call the police,” she said. “The police can’t be everywhere, but we have to inform them when we see something suspicious.” East Precinct Cmdr. Bob Nash said the effort could have an impact on crime in East Nashville and other neighborhoods. Residential burglaries in Nashville neighborhoods have increased over the last six months, he said. “This is one of the ways we can fight the burglary problem,” Nash said. 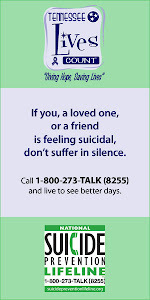 “We have to use different strategies to combat it. Crooks will see that this neighborhood is engaged.” Wags and Whiskers, at 1008 Forrest Avenue, serves as the vendor for the crime watch signs. The Eastwood Neighbors Association will print 100 more signs this month, Vandiver said. Bob Acuff, who holds weekly meetings on crime in East Nashville, said he has purchased a sign for his Woodland Street home because he wants his neighbors to know he’s watching out for them. “Police officers can ride the neighborhood, but they don’t know the neighborhood better than the neighbors,” he said. “This gives our neighborhood a little energy. It’s a great idea.” Reach Stephanie Toone at 615 259-8079 or stoone@tennessean.com. ASSOCIATED PRESS • November 1, 2010 NASHVILLE, Tenn. -- An elderly Nashville woman has died in a fire at her home. WTVF-TV reports the blaze was discovered shortly before midnight Sunday by firefighters on the way back to their fire hall from another call. The body of the victim -- who was in her mid-80s -- was found in the family room. The station reported the woman's daughter escaped the burning home. The name of the victim wasn't immediately released.